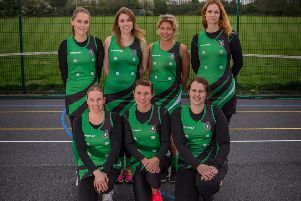 Fareham’s walking netballers are celebrating their second anniversary. The group was one of the first sessions in England Netball’s 2016 pilot scheme. Since its introduction, the programme has been attracting ladies of various ages and abilities back in to the sport. Everyone Active Fareham now have two sessions running on a weekly basis. And they are not alone, with other venues in the region encouraging ladies to join the fun. England Netball recently secured a partnership with the Women’s Insititute to back schemes such as walking netball. And the Fareham group decided there was no better way to celebrate than a their very own festival. Everyone Active was host to 150 ladies from all over the south coast. Teams travelled from Freshwater, on the Isle of Wight, New Milton, Winchester, Farnborough, Horndean, Swanmore and Hamble to support the festival. 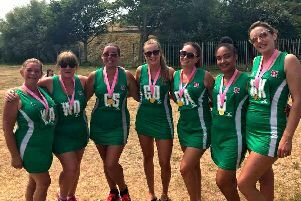 Fareham walking netball host Kelly Wallis and her Havant counterpart Jody Yoxall, alongside players from Fareham Follies and Fareham Foxes, ran a fantastic show. A total of £242.15 was raised for Macmillan – with the efforts of Sue Coker, Julia Crossley and Margaret Carter key. Stroll Sisters, from Farnborough, won the event from New Milton and third-placed Swanmore.